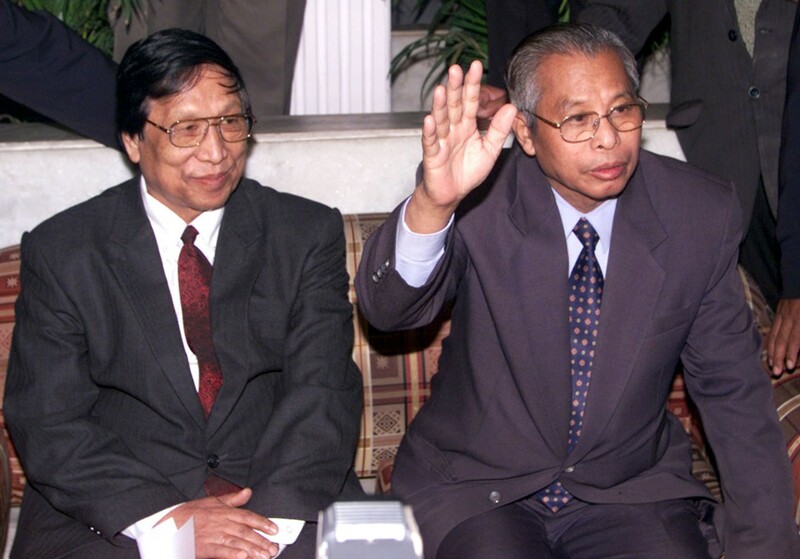 File photo of NSCN (IM) leaders Late Isak Chishi Swu and Thuingaleng Muivah. The National Socialist Council of Nagaland (NSCN) Isak-Muivah (NSCN) (I-M) faction has said that it is ‘deeply saddened’ to hear the demise of Atal Bihari Vajpayee, former Prime Minister of India. A statement issued by the faction said that Vajpayee was a great leader who could understand the Nagas and was committed to finding an honourable settlement to the Naga issue. A report published in the The Indian Express stated that the statement also mentioned that it was during his leadership the unique history and situation of the Nagas was officially recognised by the Government of India on July 11, 2002. The report further stated that the NSCN-IM signed a ceasefire agreement with the Government of India on July 25, 1997, which came into effect on August 1. “We pay our profound homage to the departed soul. He will be ever remembered for his valuable contribution towards resolving the political problem of the Nagas. It is indeed a great loss not only for India but also for Naga people and the world,” said the group. Earlier, the Nagaland Government announced seven-day State mourning from Thursday to August 22 as a mark of respect to the former Prime Minister Atal Bihari Vajpayee who passed away on Thursday. Condoling Vajpayee’s death, the Nagaland Pradesh Congress Committee said the nation has lost a great leader, a gifted orator, poet and a statesman. It said Vajpayee’s recognition of Naga history as ‘unique’ gave a new added dimension to the Indo-Naga peace talks.